The Reign were back on the ice today for their first practice of the week, following the off day on Monday. The off-day was well deserved after the team overturned a four-goal deficit in the third period on Sunday against Tucson to comeback and win 7-6. Highlights from Sunday’s game are below and click HERE to read more about the madness that was. The Kings announced earlier today that goaltender Peter Budaj has been re-assigned the Reign, while forward Gabriel Vilardi has been assigned to the Reign for a conditioning assignment. 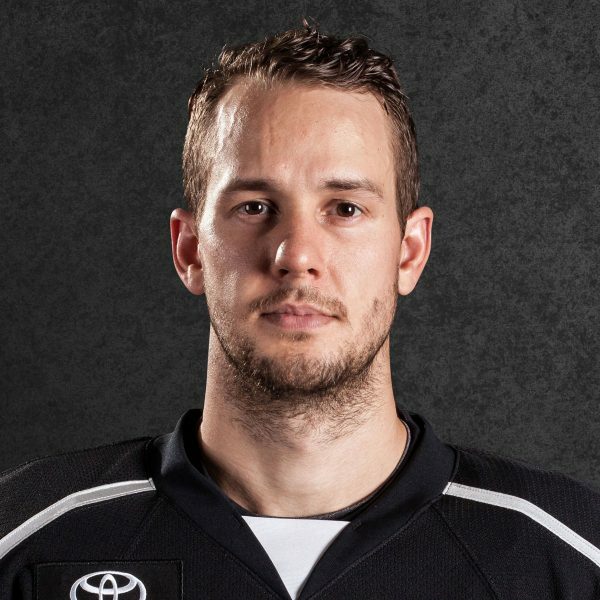 After spending over a month in the NHL with Los Angeles, where he appeared in three games with the Kings, going 0-1-0, Budaj returns to Ontario with a 1-2-0 record in three starts in the AHL. Starting with the latter in Vilardi, as reported by Jon HERE, the conditioning stint is available for three games. Ontario plays three times in a four-day span (Thursday in Bakersfield, Friday in Stockton, Sunday home vs. Tucson), and twice next weekend, a back-to-back set in Arizona against the Roadrunners. Expect Vilardi to wear #42 with Ontario, his same number as in Los Angeles. Budaj joins what is now a three-headed monster in net – For the time, the Reign will carry three goaltenders. Ontario has seen solid goaltending from both Michael Leighton and Charles Williams. 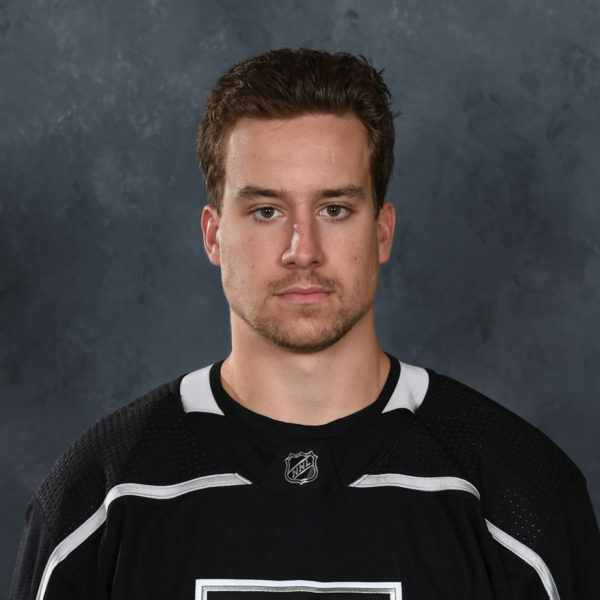 The former won his first game with Ontario on Wednesday in San Diego and has proven over his long career his value at the AHL level. 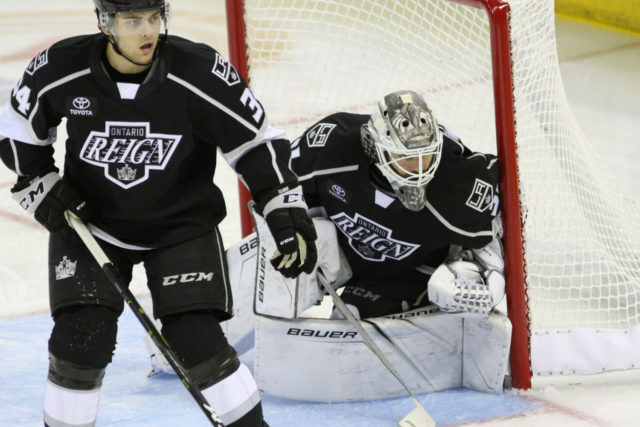 Williams has been a bright spot with the Reign, going 3-1 in his four appearances with Ontario – He entered in relief of Leighton on Sunday and stopped six-of-six to earn the victory as the Reign stormed back down the stretch. With no roster limit at the AHL level, Ontario can afford to be patient with the situation to see how things develop. 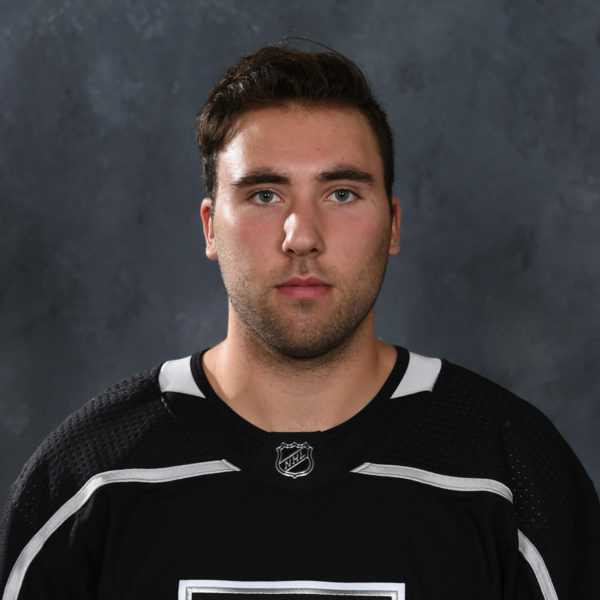 Los Angeles prospect Cole Kehler earned his first professional victory with the ECHL’s Manchester Monarchs, stopping 35-of-37 shots against in a 4-2 win over Worcester on Friday evening, in a game that squared off former Ontario Reign members Kehler and Evan Buitenhuis. Kehler is now 1-2-0 on the season with the Monarchs, to go along with a 3.38 goals against average and a .905 save percentage. 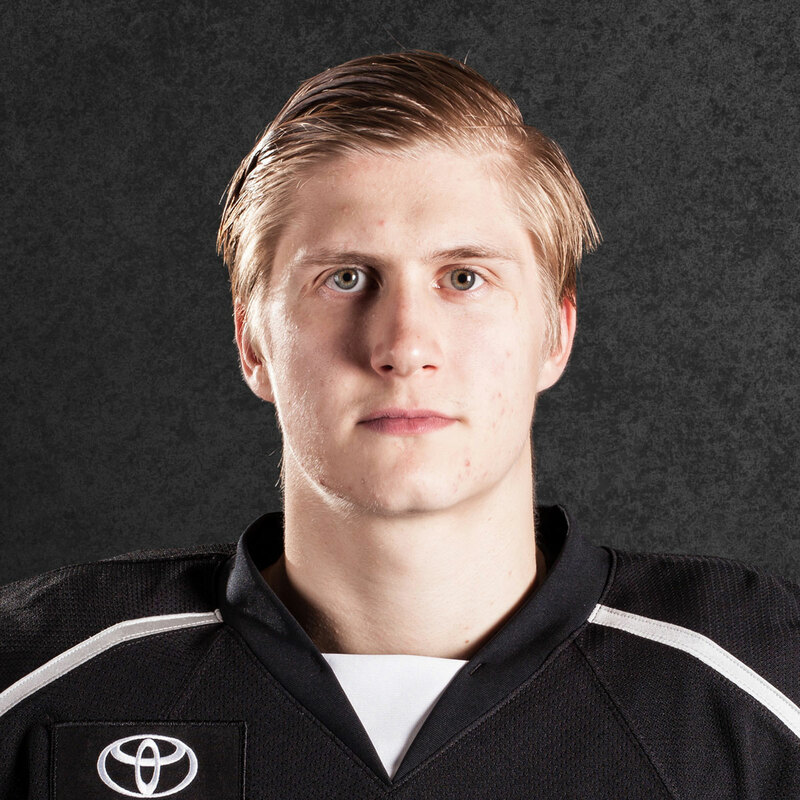 With Manchester’s usual starter, Williams, up in the AHL with the Reign and his replacement, Chris Driedger, back in the AHL with Springfield, Kehler should see plenty of time with Manchester. In other Monarchs news, Spencer Watson collected a goal and five points from three games played last week, while defenseman Chaz Reddekopp collected two assists and a +6 rating across the trio of games. Reddekopp collected both assists and posted a +5 rating in a 6-3 victory over Adirondack on Wednesday and has now tallied four assists from seven ECHL games played, in addition to a +8 rating, since he was reassigned earlier this month. Announced during Sunday’s game was the date for the 11th Annual Reign Gala – The Gala will be held on Sunday, January 20 at the DoubleTree by Hilton Ontario Airport, starting at 6:30 p.m. The three-hour event will feature a cocktail hour, followed by dinner with Reign players and coaches. 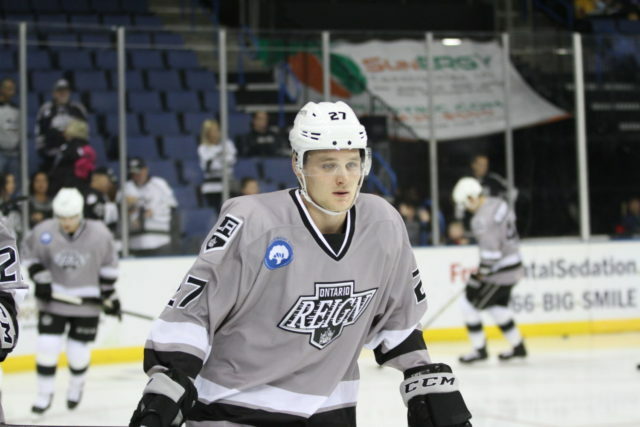 The Ontario Reign’s 2018-19 warmup jerseys will be auctioned off through a live-auction format – The jerseys have been worn by the players during warmups at home games thus far this season and will be done so through the event. All proceeds from the evening will benefit the Be Perfect Foundation, which provides financial and emotional aid to individuals living with paralysis. Tickets for the event are $45 until December 31, at which point they will increase to $50. 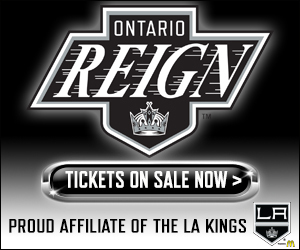 Fans can also purchase a table, consisting of 9 seats, plus one for a Reign player, for $400 by visiting www.ontarioreign.com/gala.